If you’re planning on traveling this summer, it’s important to know about viruses that you may be at risk of contracting, like hepatitis. This virus comes in three different forms: A, B, and C. The hepatitis A virus is excreted in feces and can be transmitted by consuming contaminated food or water. It can be transmitted from one infected person to another if they don’t wash their hands properly before preparing food. Hepatitis A can also be transmitted through contaminated vegetables, fruits, ice, water, and shellfish. Hepatitis B is primarily transmitted through blood and through sexual contact. This form of hepatitis is very common in Asia and the Pacific Islands. Hepatitis C is primarily spread through blood. Medical experts warn that if you travel internationally, you’re at risk of getting hepatitis. Researchers at the Department of Infectious Diseases, University of Melbourne recently reviewed the causes and prevention of hepatitis infection in travelers. They found that your risk level for getting a hepatitis infection depends on which country you are traveling to, the activities you’ll be participating in, and the length of your vacation. According to their research, many people simply don’t take preventative health measures and disregard doctor recommendations. They estimate that every month, as many as 420 out of 100,000 travelers to countries where hepatitis is prevalent, come down with the disease. 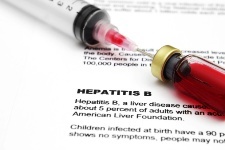 The researchers point out that hepatitis B can be prevented through vaccination, which is generally thought to be a safe and effective way to get antibodies against the virus. The researchers caution that there isn’t a minimum duration of travel that will wipe out the risk of hepatitis B infection—it doesn’t matter if you only go somewhere for two days. On the other hand, if you’re traveling for extended periods of time, you’re at a much greater risk. Hepatitis A is likely your biggest worry, especially if you’re traveling to Mexico, Central America, or South America. According to the Centers for Disease Control and Prevention, 18% of all cases of hepatitis A are acquired during travel. In fact, 85% of these hepatitis A infections occurred when traveling just to those three countries. You can get a vaccination against hepatitis A before you travel—get your doctor’s help with this. While traveling, boiling or cooking your food for at least one minute at 185 degrees Fahrenheit (85 degrees Celsius) will render the hepatitis A virus inactive. Chlorination of water also inactivates hepatitis A (which is one of the reasons we use chlorination here in North America). You’re most at risk for this virus if you visit rural areas, hike in the backcountry, or eat and drink in areas with poor sanitation. But if you plan your routes, do a bit of research beforehand, and are aware of the possible health concerns, you’ll be able to enjoy a safe and fun trip! Johnson, D.F., et al., “Hepatitis B and C infection in international travelers,” J Travel Med, May 2013; 20(3): 194-202. “Infectious Diseases Related to Travel,” The Centers for Disease Control and Prevention, accessed online April 16, 2013.